As promised, here some technicolor shots of the first Metatron squad! 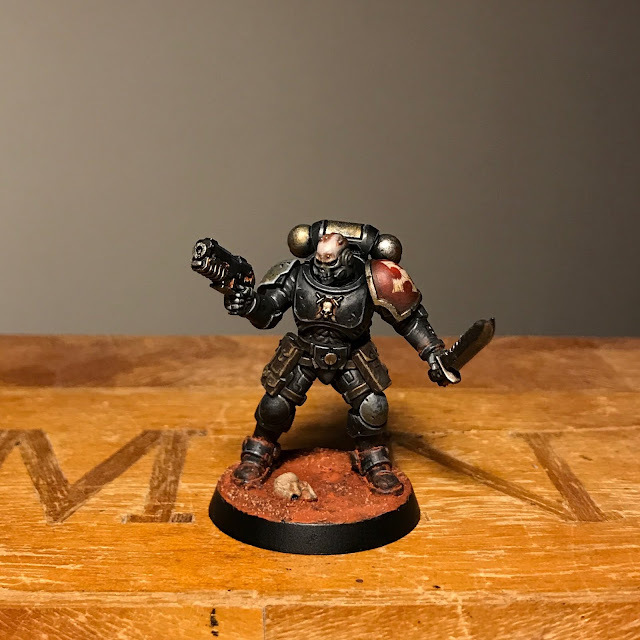 But that's not all - I've also finished my first reiver. These guys are amazing up close. Love 'em. They're just so quintessentially "Goodwinesque" - a bit like the original 90s assassins. He simply screamed out for a black paintscheme so black it had to be (kept the Metatron grey on the knee and right shoulderpad though). I converted the boltpistol somewhat to make the profile sleeker, but it's still the only thing about the design I don't quite like. Might replace them with standard bolt pistols on the other guys. Lovely work. totally moody and badass looking. Cheers mate! The reivers really have tons of badassedness..
You are the undisputed master of painting black. Every time I see you do a large area of a model in black (which you often do), I am stunned by the absolute technical skill and formula you have. Bravo! It's not that complicated actually. It's just sprayed black, sponged, drybrushed and egde highligted with Vallejo Grey Black. 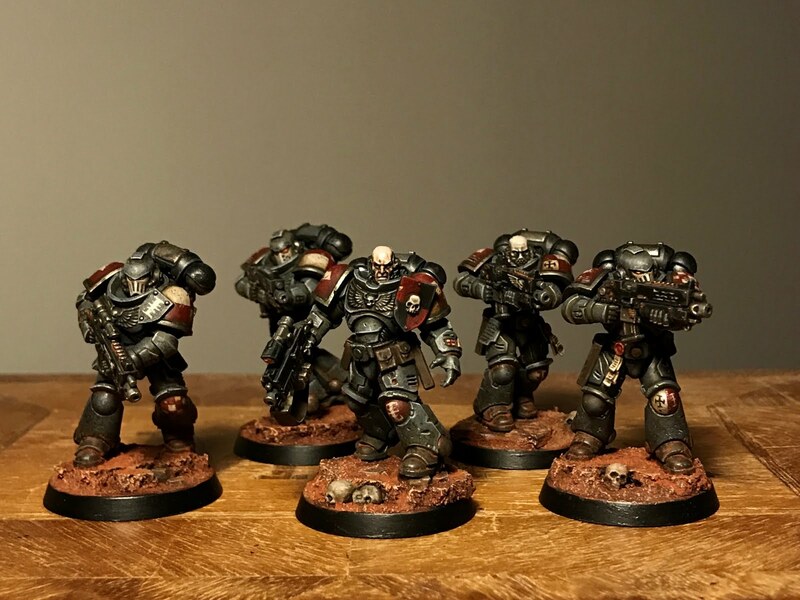 Then edge highlighted again with mechanicus standard grey and then again with a mix of standard grey and white. Looking amazing. 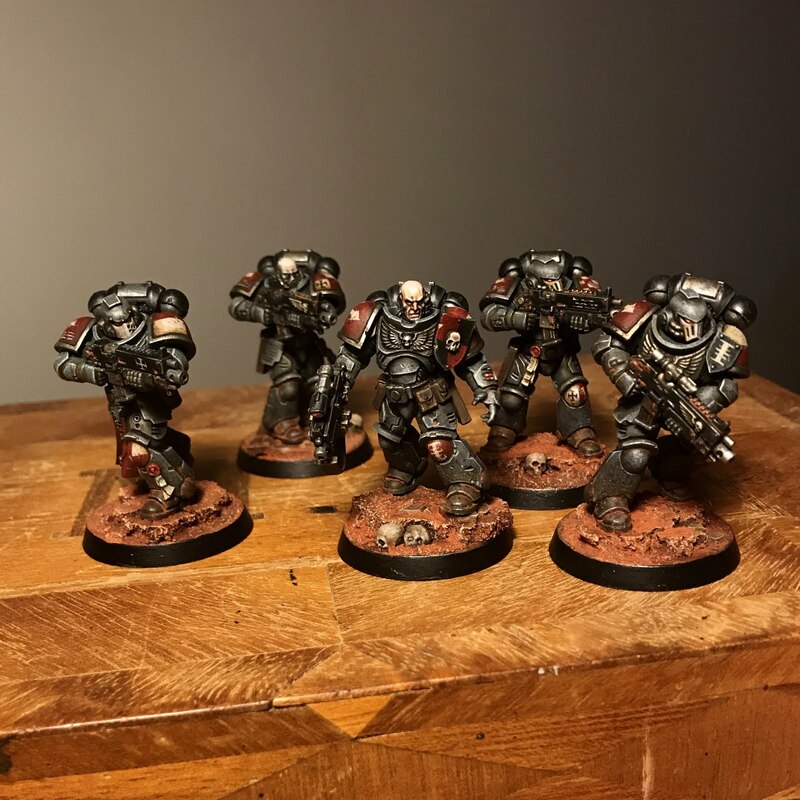 Your intercessor squad is one of the best I've seen. I wasn't a fan of the reivers when I first saw them, but they look so much better with black masks. Thanks buddy! Glad you like 'em! The mask is actually grey, same as the pauldron, but I guess it's not obbvious in these pics. Reivers are so flippin cool. I think he's my fav of the bunch. I love the patina effect ion the metallics. Also, the colours on the shoulder pads really bring out the size of the model, not to mention how well the freehand there came out. It's just leadbelcher with lots of different washes and a slight drybrush of silver. I don't spent much time on my metallics to be honest. Those look really cool. 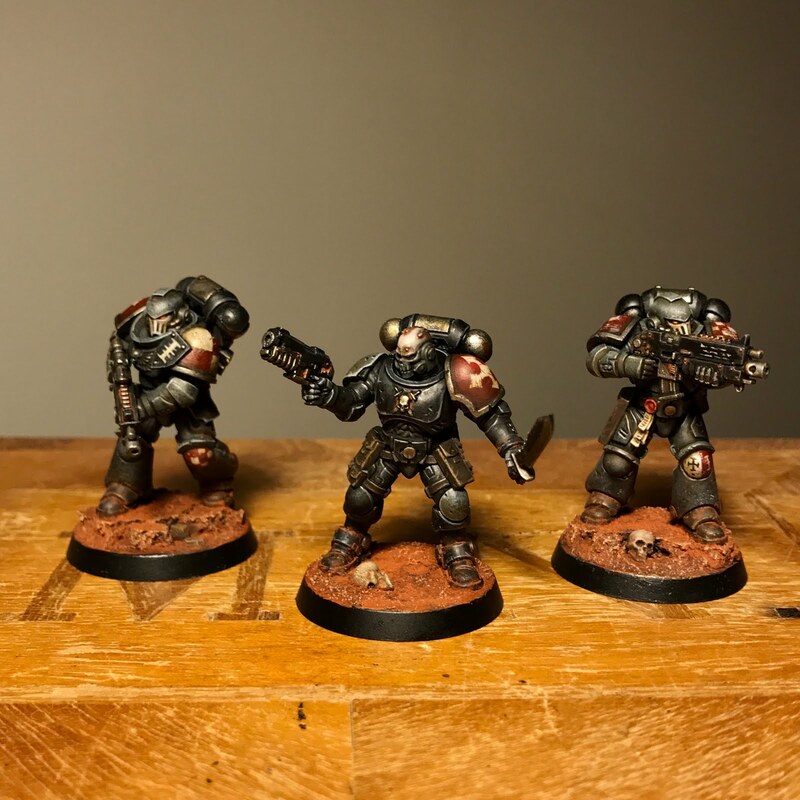 Have been thinking about redoing my old Space Marine army from 3rd edition. These are absolutely stunning (as ever). And you have achieved that which I thought impossible - made a Reiver look good! It's hobbyists like you that act as an inspiration to keep the rest of us involved! As soon as the multipart set came out I really started to dig the reivers. Don't quite understand all the negativity about them.